According to investigators, the employee accident happened on January 20, 2018. 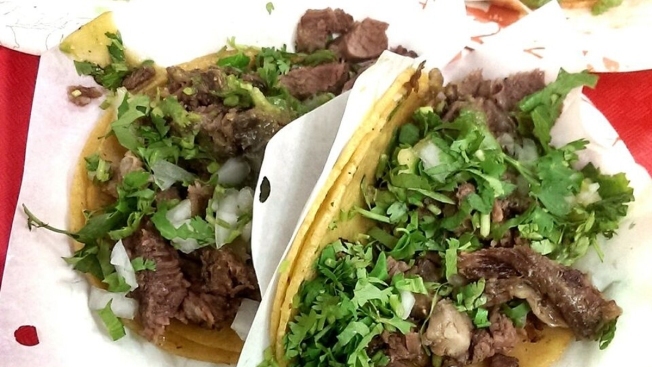 Tacos El Gordo -- a popular Mexican eatery in Chula Vista -- made the list at No. 17 of Yelp's "Top 100 Places to Eat in the U.S. in 2016." A popular Mexican food chain in San Diego has been ordered to pay tens of thousands of dollars for failing to report a work-related injury and for maintaining dangerous work conditions. According to a complaint filed by California’s Division of Occupational Health and Safety, Tacos El Gordo in Chula Vista must pay $40,000 after an employee fell off a ladder and sustained serious injuries. A subsequent inspection of the popular taqueria found a total of 10 violations at the chain’s flagship location, including a failure to keep records of unsafe work conditions, not providing training to employees on how to use portable ladders, inadequate first aid materials, and for not establishing an emergency eyewash station in the workplace. The violations resulted in fines of $40,105. The California Department of Industrial Relations has given the restaurant chain 15 working days from December 28, 2018 to pay the fines. Tacos El Gordo has been noted as a popular option for Tijuana-style street taco in San Diego. In July of 2018, the Palm Street location in San Diego shut down due to lack of staff.